Advertising’s purpose is to perpetuate a false sense of insecurity. That way, viewers are inclined to purchase the advertised goods as a solution to their problems. Whether it has to do with unwanted wrinkles, unwanted body fat, or an imperfect wardrobe, there are always constant reminders of what needs improving. This speaks to the strength of the patriarchy. An important question asked by Wolf is why women have such a powerful response to advertisements – and not men. “Is their identity so weak?”(Wolf. Culture. p59). No, it is not. Women’s identities in the media are kept superficial and physically oriented in order for culture to be kept male. Males are allowed to have it all – to be handsome and well kept if they choose, and to have a grand personality. On the other hand, women are only allowed to be beautiful or smart, but not both. “What kind of representations does advertising produce? It creates a mythical, WASP-oriented world in which no one is ever ugly, overweight, poor, toiling, or physically or mentally disabled” (Cortese. Constructed Bodies. p52). Viewers are constantly questioning their status of beauty, wealth and success up against images that are of pure imagination and computer construction. As Cortese states, “Subvertising overthrows or subverts mainstream ads. Subvertising uses the power of brand recognition and brand hegemony either against itself or to promote an unrelated value or idea” (Cortese. Constructed Bodies. p49-50). These alternate strategies of advertising, created by third parties, turn the construction of the mainstream media on its head. 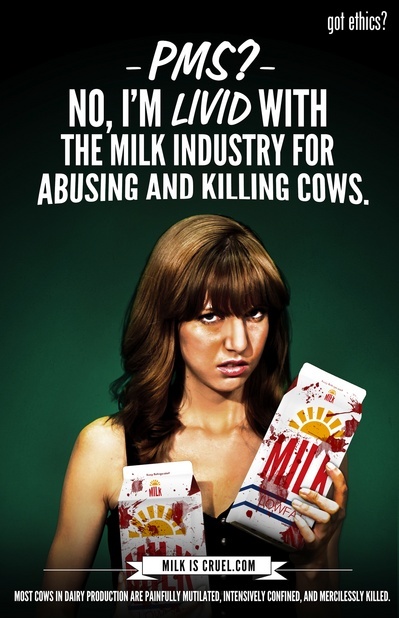 For example, the Milk is Cruel advertisement addresses the image of an angry woman with supposed PMS, but instead she is “livid with the milk industry for abusing and killing cows”. 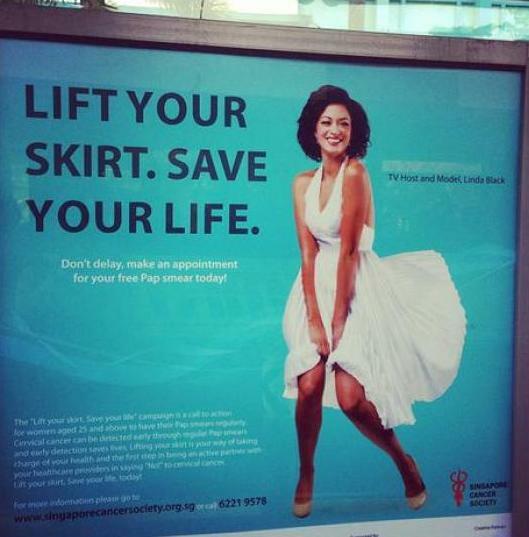 This brings attention to a different cause through recognizable ads for feminine hygiene.